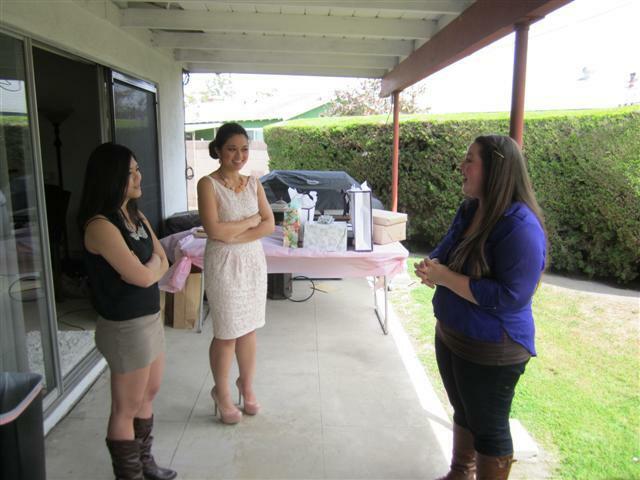 Yesterday Robert’s mom was kind enough to throw me a bridal shower, and I have to say it was a lot of fun! We played games, won prizes, had awesome food, and I got to open up some great and very thoughtful gifts. All the bridesmaids seemed to enjoy themselves as well, so I’m pretty happy about that. 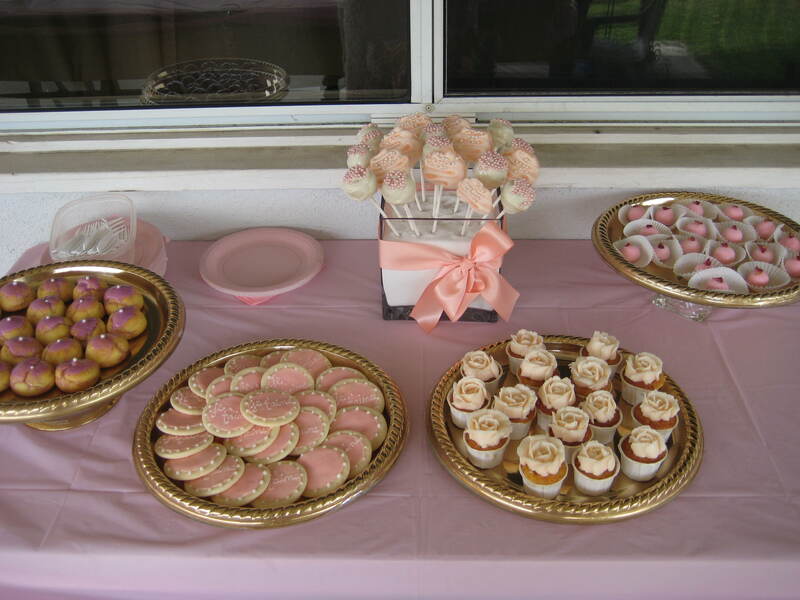 The theme colors were pink and gold, and I wanted to make a little dessert buffet to match that. 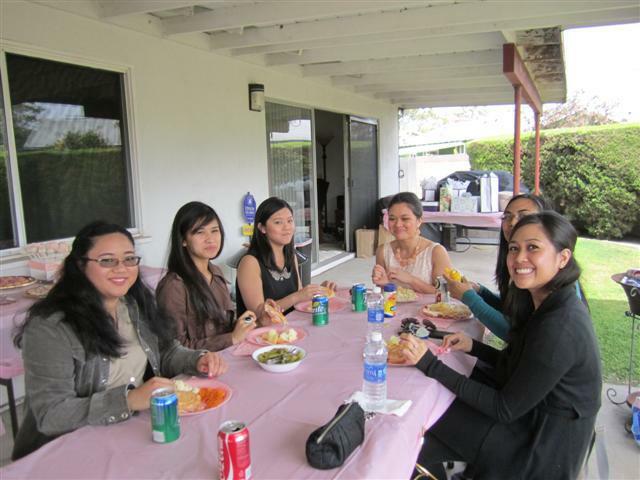 The spread looks kinda small, but we were only expecting 20 or so people, so it ended up being just enough desserts! 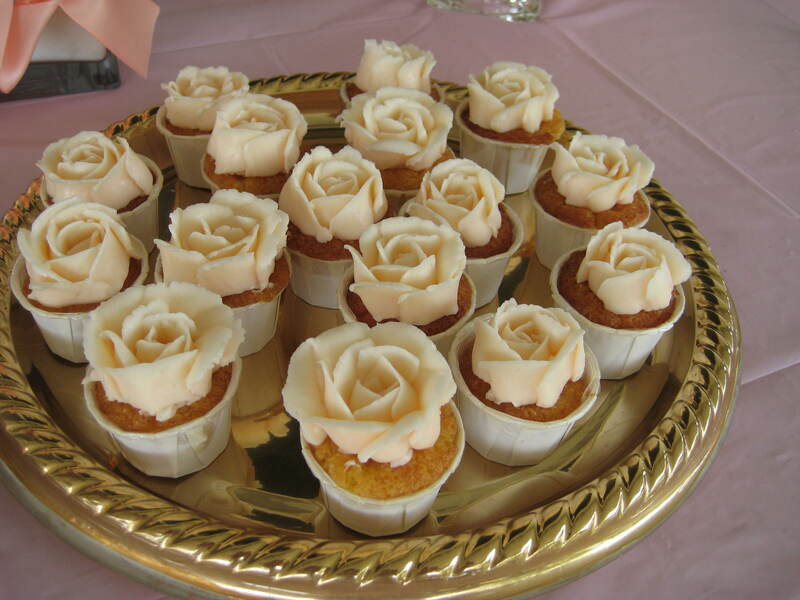 Mini almond and orange cupcakes with buttercream roses. 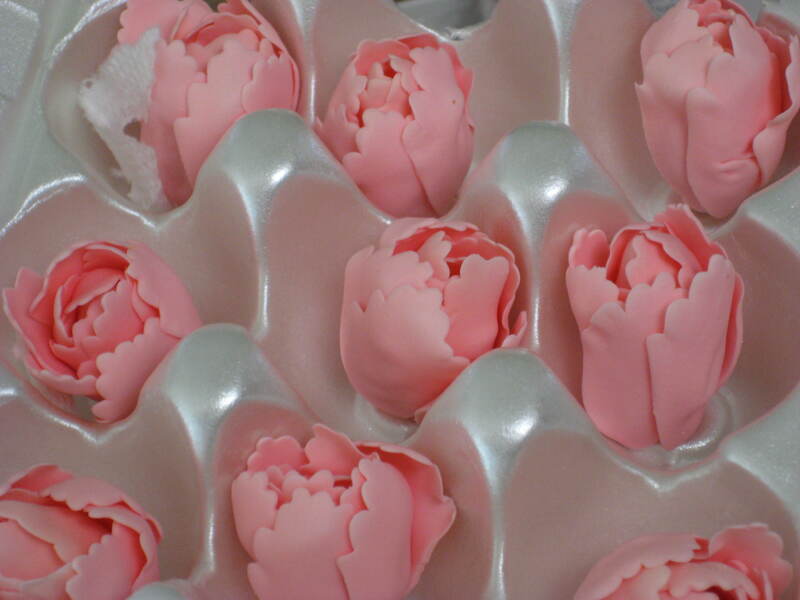 Strawberry and rose truffles. 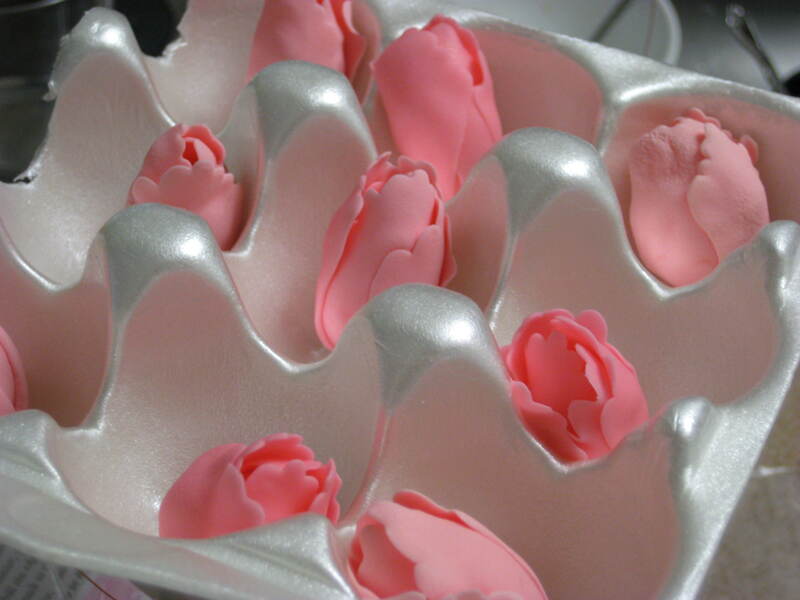 I absolutely LOVED these babies, and they were so easy to make. 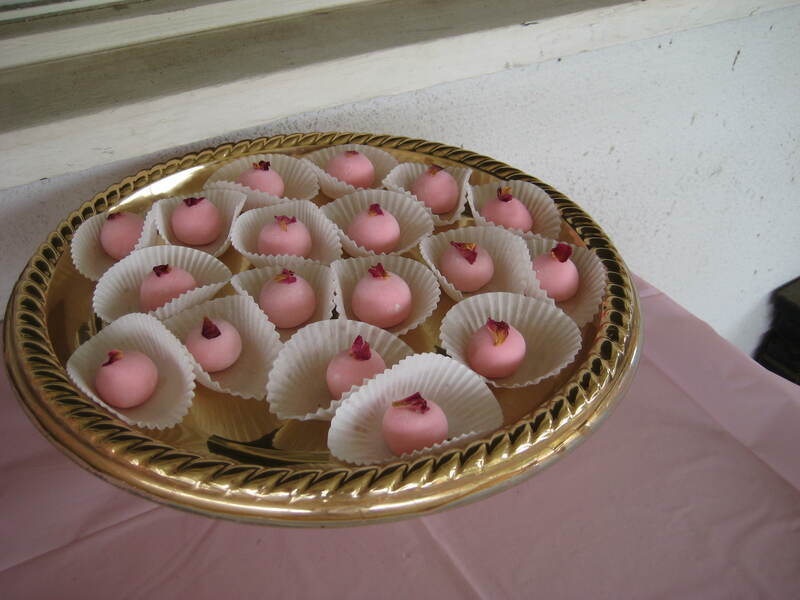 Not gonna lie, I left a few of these at my house to snack on…. 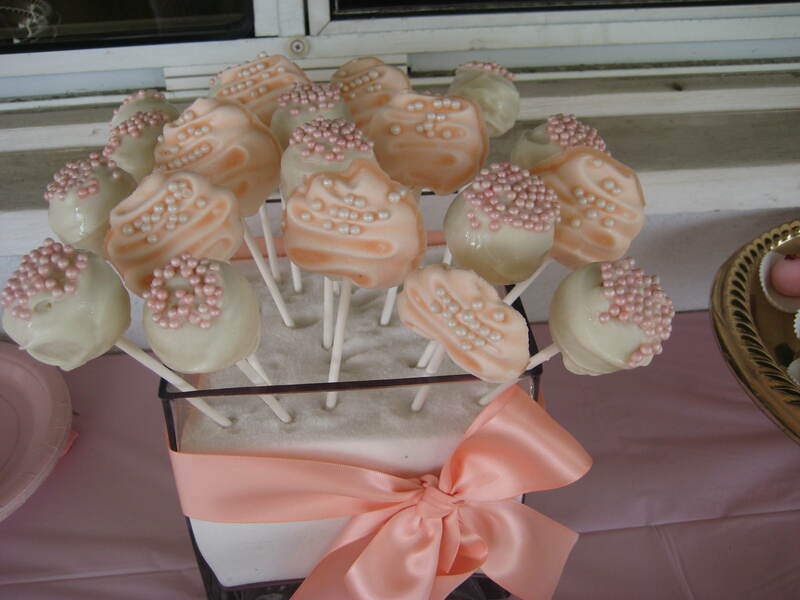 Coconut cake pops and mango-peach marshmallow lollipops. The marshmallow lollipops turned out a little more difficult to make than I remember, but they came out really cute and pretty damn delicious so I’m proud of them! 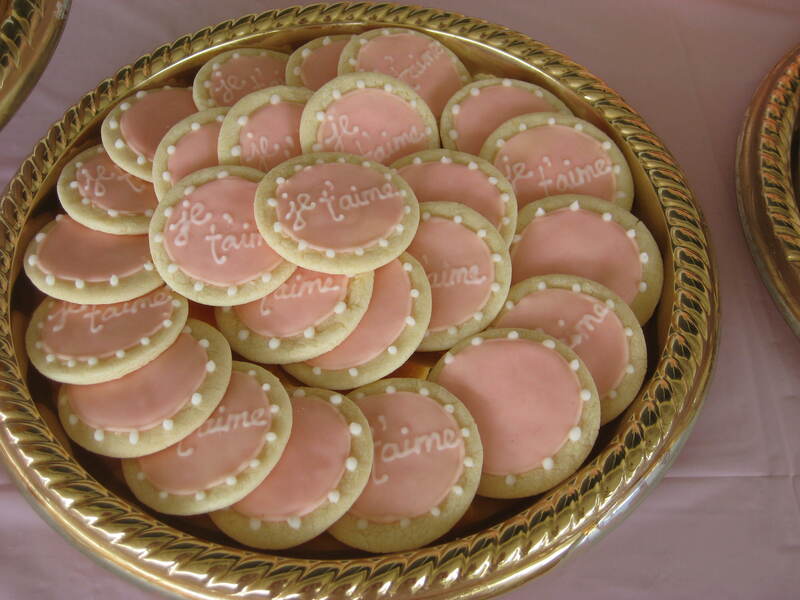 Lemon sugar cookies that say “je t’aime.” Cute and simple! 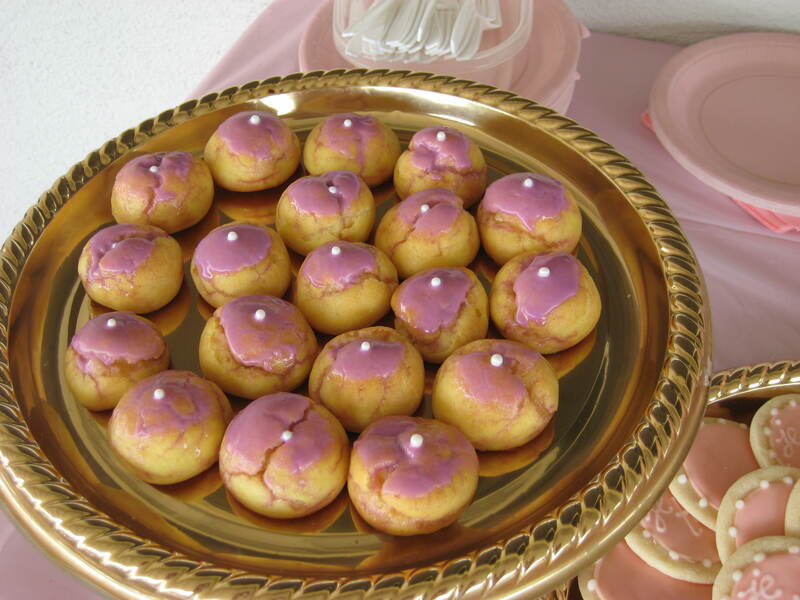 Vanilla pate a choux. Another simple flavor, but just a good, comforting dessert. I left some of these at home for me too, hahaha. 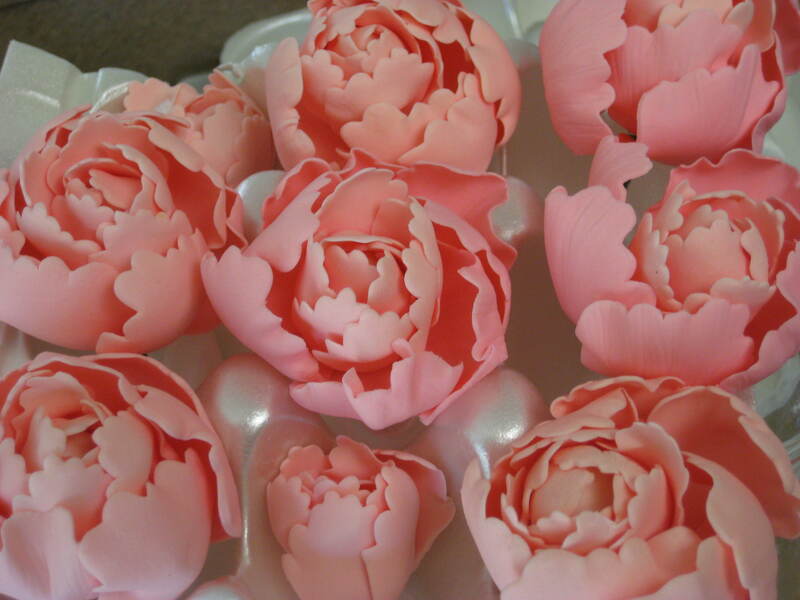 I’ve also spent the last couple of weeks making gumpaste peonies for the wedding cake, and they’re finally finished! The colors are a little dark in the pictures because the gumpaste needs a few more days to dry, but here’s a few progression shots for ya’. Third layer. Lookin’ good so far! 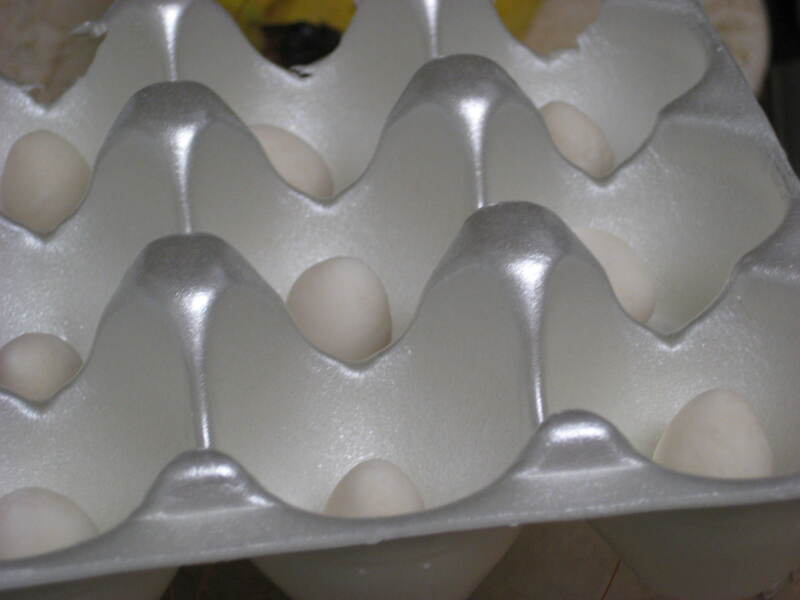 Fourth layer, getting too big for the egg carton! 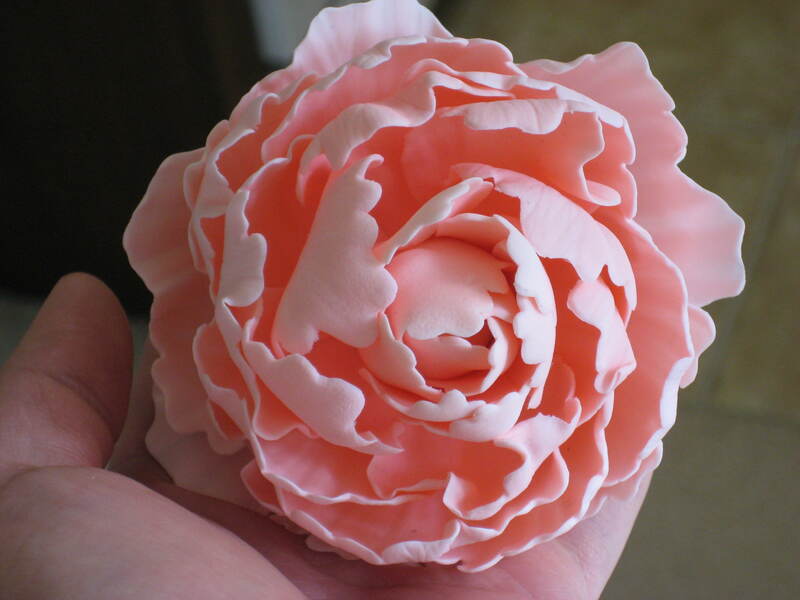 A finished peony; my babies are all grown up! I’m pretty proud of how these turned out. 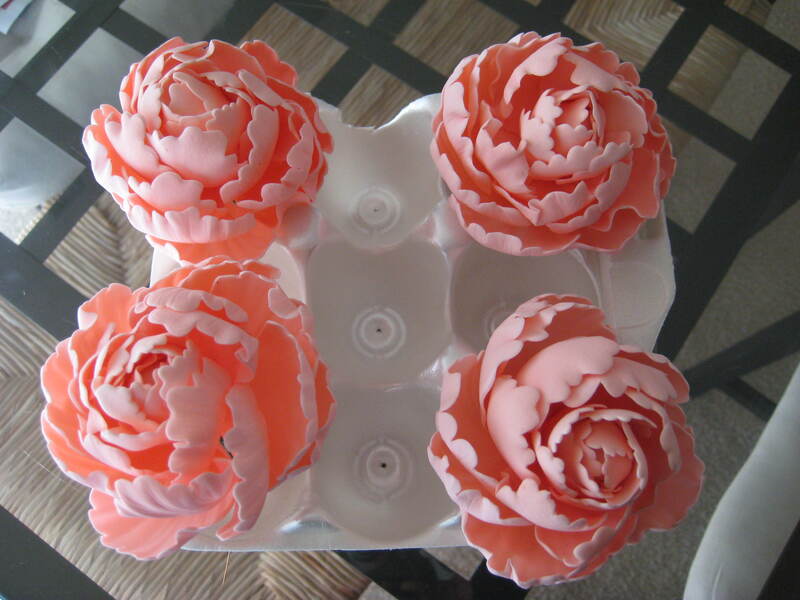 I don’t have TOO much experience making gumpaste flowers and I’ve never made peonies before, so these ended up being a lot of work and trial and error. In total it took me almost 3 weeks to finish all of these (this includes drying time and all the breaks I took in between for work and the dessert buffet, haha), but I would definitely say it was worth it. It’s kinda hard to see all the veining in there, but it’s there! 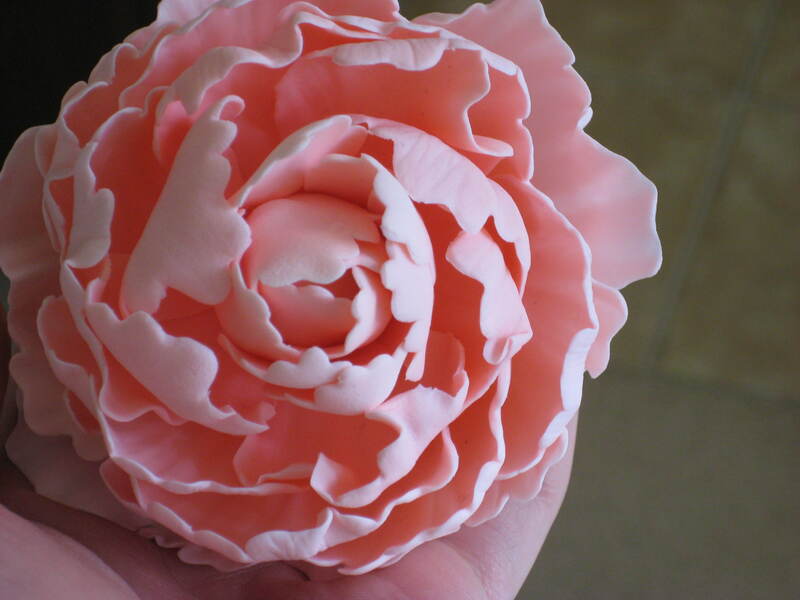 The flowers are super delicate, so here’s hoping they actually make it to the wedding. Hope you all enjoyed my very pink post, and look forward to more!